M/s. 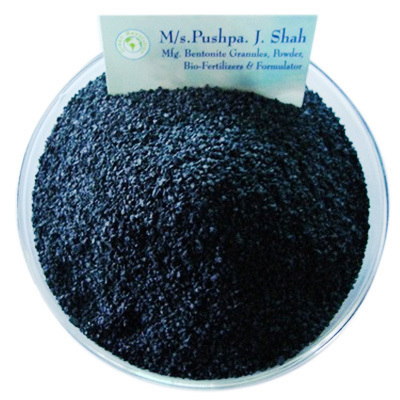 Pushpa J Shah is bulk manufacturer of Double Roasted Bentonite Granules. Our annual turnover in production is around 40000 Mt. We provide superior quality heavy metal & dust free granules. As per traditional practice in India, granular agri inputs are highly preferred and demanded by farmers. Due to its granular nature it can be broadcasted along with regular dose of fertilizers. 2) It acts as a preservative of active ingredients. It saves the technical ingredients from the direct ultraviolet rays of sun. Since it is inert, It does not react with the technical material. 6) These granules are roasted using approved fuel like furnace oil & natural gas.